I just drove 2018 passat se tech home the other day. 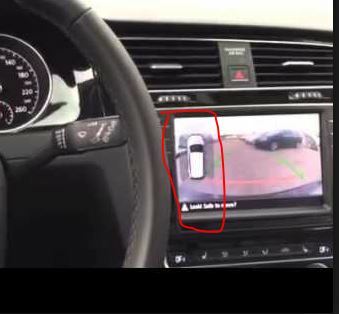 I have notice that when you put reverse, other passats on youtube show little mini PDS display on the left side of rear view camera. it came on as default, but my passat does not come on as default. I have to press little menu button to show on the screen. Any members own 2017-2018 passat does that too??? it is pain every time put reverse gear and push menu button on the screen! I just attach picture from random google image so you have an idea what I am talking about..